In celebration of ‘selfie’ becoming the English Word of the Year (though Microsoft Word has not caught up and has underlined it in electric red), here’s my version. 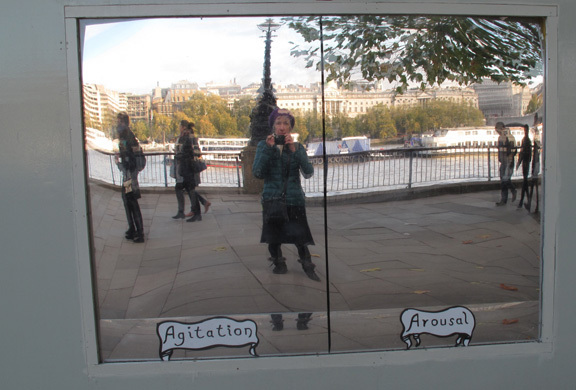 I’m on the Southbank outside the National Theatre, caught between Agitation and Arousal. Who am I kidding? I’m stuck in Agitation! This entry was posted in Photography and tagged London, National Theatre, Selfie, Southbank, street photography, the National Theatre. Bookmark the permalink. ← There goes the neighbourhood!